Much going on in the Jewish blogosphere this past week. Many of us continue to feel the loss of friend and teacher, RivkA Matitya, as you will see reflected in several posts. Risa speaks of RivkA’s innovativeness in What Women CAN Do! Brian captures RivkA’s essence in The Eternal Optimist . Things did not go as smoothly as they could and should have, according to Batya, in Funeral “Factory”. Ricki’s Mom expresses her sadness in Thoughts on RivkA, Life and Death. A Mother in Israel lets us in on her long and beautiful friendship in Memories of RivkA bat Yishaya, z”l. A picture speaks a thousand words. Two thousand, then, from Around The Island (here and here). Our Tradition encourages us to say Tehillim on behalf of those who are ill. West Bank Mama shares her Thoughts on Saying Tehillim. Ruti-Mizrachi shares what she learned from RivkA. And I talk about being counted. Finally, a new initiative that will honour RivkA’s memory has been established. Threadz of Blue reminds us about Blessing the Children…as well as being a Blessing to them. I continue to be amazed how much can be pulled out of text. Using Torah, Midrash, personal experience and her neshama, The Velveteen Rabbi shares Seven Miriam Stories. A Simple Jew teaches us about humility. Don’t be put off by PopChasid’s title, Art is Garbage (and So Are You). Stick with the post and you will see how we might understand our own souls through the nature of art. And speaking of art, The Rebbetzin’s Husband shares one women’s artistic rendering of a very personal journey. Wow. Wisdom is found in many places, as JanetheWriter writes in Kaddish d’Rabbanan: A Modern Interpretation. Soccer Dad points us over to a true act of tzedek over at Six Kids and a Full Time Job. Yoel Meltzer tells us why he thinks that Annexation is the only solution. Joel Katz helps us stay on top of Religion and State in Israel here and here. Take a visit to the Hula Valley Nature Reserve with Creative Jewish Mom. Ah, blessed rain. Precipitation arrives in the Homeland and Leah over at the Ingathering reminds us to be thankful. Acclimation happens in stages. The Three-Year Mizrachi Report lets us peak at one family’s process. Maya remarks on the Inconsistency of Israeli Telephone Numbers to which Batya adds her take on it. Batya also wonders How Do You Solve A Problem Like Our Bibi? From the groovy to the futuristic, Cosmic X in Jerusalem gives us the extremes. Are you a leftist screwball? Here are the Top 10 Signs according to The Jewish Fist. Tikkun Olam is part of childrearing, says Marjorie. No two journeys towards Judaism are identical. Here is Yaniv Ben David’s story, courtesy of Cosmic X in Jerusalem. Are denominations good for the Jews or not so much? Friar Yid tells us in The Blame Game. Truth, Praise, and Help presents us with the Bar Mitzvah invitation of the future…or is it present? Just back from India, Rabbi Lemming shares his experience. Quick — check out Chavi’s post about Quick and Kosher and enter her giveaway that ends TONIGHT at 10:00pm. Still not convinced? Read this review over at In the Pink. [And major mazal tov to Hadassah for **finally** receiving her Green Card. Good News, indeed! Jacob has some new Jewish video games for your edification. So what about America’s Top MOdel?? Melissa (one of the Redefining Rebbetzins) offers her thoughts. Leora interviews Ilana-Davita (whose posts and comments give tremendous insight into European life). What a great way to get to know a fellow blogger! Leora also reminds us that pictorial submissions are now being accepted for JPiX. SO here is an example of one of the things I LOVE about my online relationships. My life is truly enriched by engaging in respectful discourse with people who hold differing opinions. Minnesota Mamaleh, when submitting her post on Halloween, wrote, “okay, lady. i know we don’t see eye-to-eye on this one. i hope it’s still okay though!…”. Galit, we sure don’t. But I appreciate hearing other points-of-view. Sects and the City weighs in as well. Oy! The things people say. But The Ima takes it all in stride. [Doesn’t she look beautiful, puh X3?] And Leah? She makes a slideshow. To Kiss A Mezuzah reminds us not to wait for bad times to seek God’s Presence. For those of you living in places where there is a time change, take the opportunity to change the batteries in your smoke detectors. 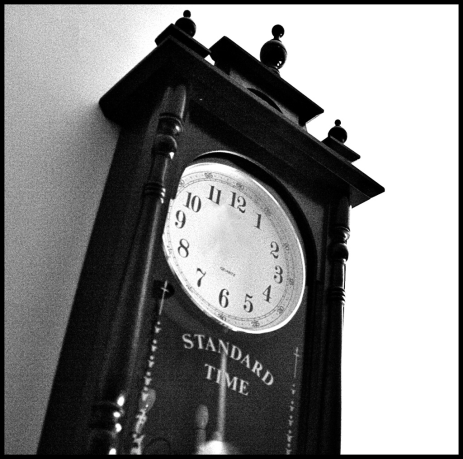 Welcome back to standard time. Next week will be hosted by The Rebbetzin’s Husband. You may do so by using our carnival submission form. Past posts and future hosts can be found on our blog carnival index page. Thanks for hosting. I spent some time reading more of the beautiful posts about RivkA. I was especially saddened by the one Batya wrote about the funeral. It is hard enough to mourn, but when schedules are poorly planned, no wonder people feel angry. Hope all the jblogger photographers out there will submit to JPiX. We need some good cheer. I just can’t imagine how any funeral can be expected to be as short as they had scheduled. I hope they have learned from this experience. Thank you for the hard work anf for mentioning my blog. I have learned so much about life (general and Jewish) over on the Continent. I really appreciate you and your writing. Great edition. Thank you for including me. I appreciate your compliment. Thanks! Thanks for all your work on HH! Enjoyable work 😉 You are so welcome. I can disagree with you and still adore you! Thanks for including my post. Kol Hakavod. Thank you, DBS. Come back anytime. It was most generous of you to include my post. Wonderful job, Sarah! And thank you for your submission, Rabbi Lemming. Welcome back from your journey. Grateful and appreciative as usual. My pleasure. Really. I enjoy the chance to read through so many posts as well as include new voices. Thanks for the opportunity. That’s interesting that you mentioned that expression regarding Rome. When the Christian censors butchered the Ramba”m Mishneh Torah, they changed “Christians are ovdei avodah zarah” to “Romans are ovedei avodah zarah” or aku”m. Every moment is a teachable moment! Thanks for publicizing this week’s edition. Thanks for a wonderful Havel Havelim, The Carnival (Celebration) of Jewish Blogs! Thanks. I really enjoy the chance to put it all together. I think that it is really important for a variety of voices to be included. And your voice is a good one to hear! They are. They are asking to be included so that HH accurately represents different points-of-view. Thanks. You’ve got a lot going on right now. And I’ve always included posts from my reader. So I’ve always got your back! Hmm, I thought that they were telling me to go eat ice cream. You might want to talk to someone about that. Beautiful job, thanks so much. It’s hard to take credit for doing something I enjoy. Plus, I was just the redactor. You guys did all the work! Nice edition and thanks for the compliment! Thanks. And thanks. Your hard work is paying off and is inspiring. Keep it up!